A pen and letter opener presented in a Maple & Walnut finished wood box. 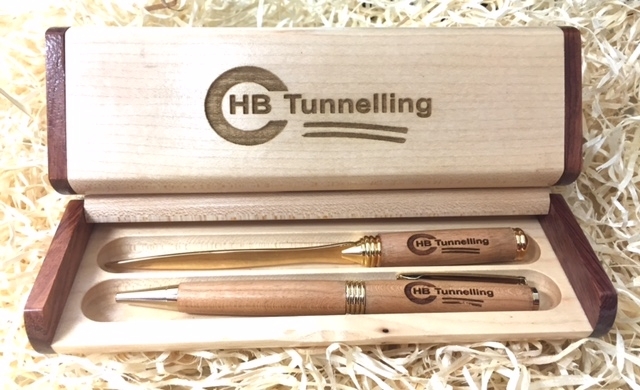 An additional fee of €3.00 includes engraving on the pen, letter opener and box – normally €3 each. All wood types can be selected for pen and letter opener. PLEASE NOTE: This set is only available in gold trim. Engraving can be customised to your requirements. Photo shows one of a corporate order – logos can also be engraved. Two pens can be included if required. €49.95.